Throughout the month of May, I was on a bit of a book buying ban and only received one in the post so I figured there was absolutely no point in doing a book haul that month so I teamed up with June and am doing a combined book haul of the last two months. Enjoy! 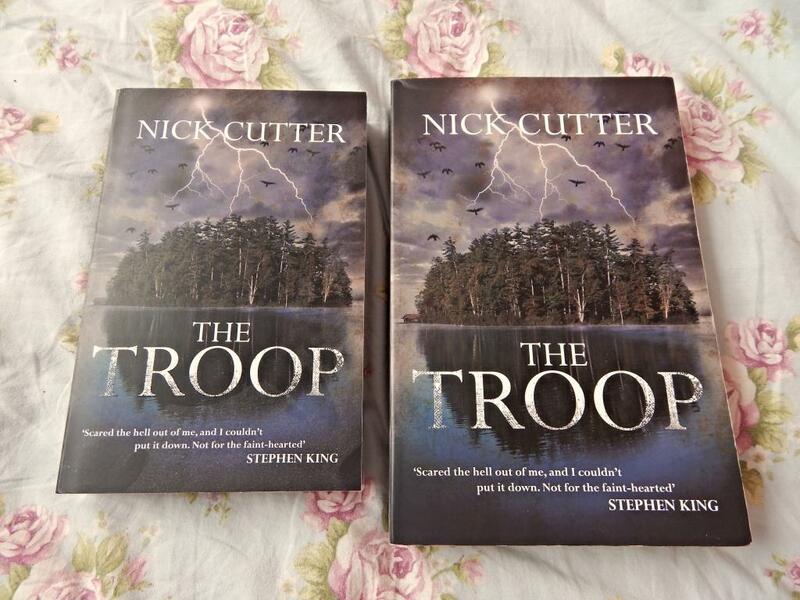 Firstly, I received a copy of The Troop by Nick Cutter in the post, which was very nice but I’m not really sure why because 1) I already have a copy that I requested from Bookbrigr a while back and 2) I have absolutely no idea who sent it. So if that was you, thank you! I now have 2 lovely copies so when I’ve read it, I’d be happy to pass one along to another reviewer! I also received a proof copy of The Best Thing That Never Happened To Me but Laura Tait and Jimmy Rice which I won in a giveaway months ago. Truth be told, I completely forgot about it after deleting the email so when it showed up, again, I had no idea who sent it! So, if that was you that ran that giveaway, thank you! It’s very much appreciated! Also in the above picture is Being Binky which I won from a competition that the Clothes Show Live Twitter account were running, Getting Rid of Matthew by Jane Fallon which I won in a giveaway hosted by MissBookworm Reviews on Facebook and Witch Finder by Ruth Warburton which I won in a giveaway ran by Sally at The Dark Dictator blog, thank you ladies! This selection of books I borrowed from the library as part of my research for the writing storybooks for children and young adults course I’m currently working through. I was a massive Jaqueline Wilson fan when I was younger so I’ve been really looking forward to re-reading some of her books again. I’d never read any Penny Dreadful before but I read through this one a few weeks ago and loved it! Penny is such a great character! This little selection was sent to me by Gina Dickerson, as I’m touring with both of these books in the upcoming months. Mortiswood: Kaelia Awakening is going on tour in September and Underleaf, a selection of short stories will be touring in late October/early November so keep an eye out for those! Thank you so much to Gina for sending me these. The Vilincia Coven by Jennifer Thompson is also going on tour with me in early October so a big thank you to Jenn for sending me a copy of the book and a nice little message with it. So that’s it for the past two months, book wise. Have you read any of the books mentioned above? If so, what did you think? Have you received any awesome book post lately? Let me know! Reblogged this on JThompson Books. She’s brilliant isn’t she? Don’t think you’d ever be too old to read her books! Will definitely make you remember what it’s like to be that age again! What a wonderful haul you have there, Jenny! Thank you for the mention, I am looking forward to both of the tours. I read ‘Getting Rid of Matthew’ some time back and enjoyed it!